Mackensie Jordan obtained her Bachelor of Science degree in biology while playing collegiate level soccer in Montgomery, Alabama, followed by a Doctor of Chiropractic at the Canadian Memorial Chiropractic College in Toronto. 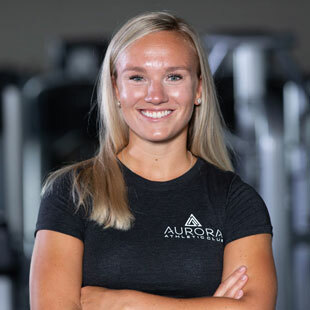 Mackensie has a wide background of knowledge in anatomy and biomechanics that is extremely useful in helping others reach their fitness goals, recover from injuries, and maintain a healthy lifestyle. Helping others take control of their health is important to Mackensie, so she continues to work as a Personal Trainer alongside her chiropractic practice. She stands by the global health initiative managed by the American College of Sports Medicine stating that “Exercise is Medicine”. She understands the importance of exercise and is committed to the belief that physical activity promotes optimal health, is integral in the prevention and treatment of many medical conditions, and is important for overall health and well-being. Mackensie’s commitment to helping and educating others, combined with her passion for health and fitness, allows her clients to successfully reach their goals.